The idea of making sushi scared me. I have wanted to make my own for years. In our travels we have had a veggie roll we like here and a different one there, but never the possibility of having all the ones we like at once. 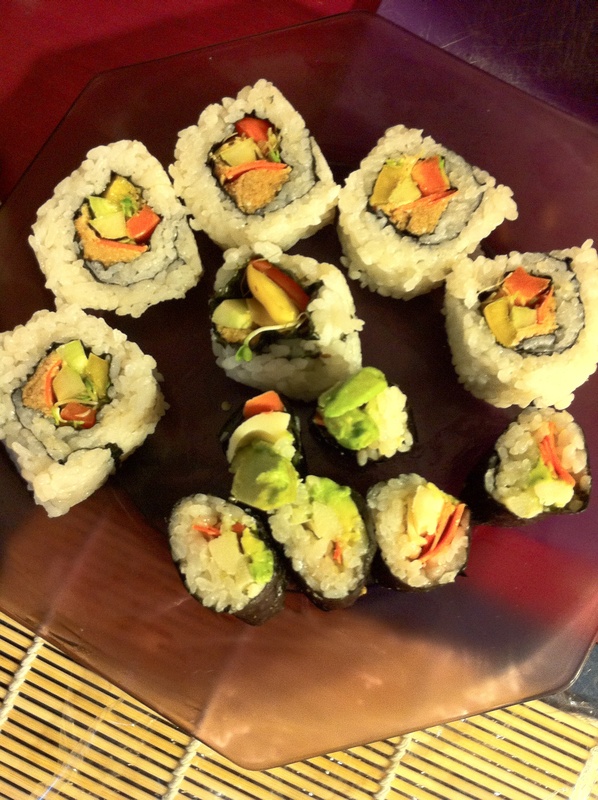 Unlike the fish varieties that are pretty standard from place to place, veggie sushi depends on the chefs imagination and lets just say, some aren’t that creative. Our favorite over the years have been asparagus tempura rolls which we haven’t been able to find while living in Seattle. We haven’t found any vegan tempura rolls for that matter. We had been going to one place for a couple of years where they had vegan tempura (no egg) and asked the chef if he could make us a tempura roll and he refused. This inspired me to attempt my own but it has taken me a couple more years to get the guts. August was the month of reading sushi cookbooks and watching videos on everything from the preparation of the rice, to the rolling methods, to the endless options of fillings, and the tools needed to make them. Who knew it was so involved? I was stressed before even starting. I couldn’t afford to buy all the tools recommended. The wooden bowls for the rice are really pricey but my glass bowl worked fine. I did purchase the bamboo mat for rolling and a special rice spoon to cut the rice, and cute little bowls for wasabi, but you could easily do without those. 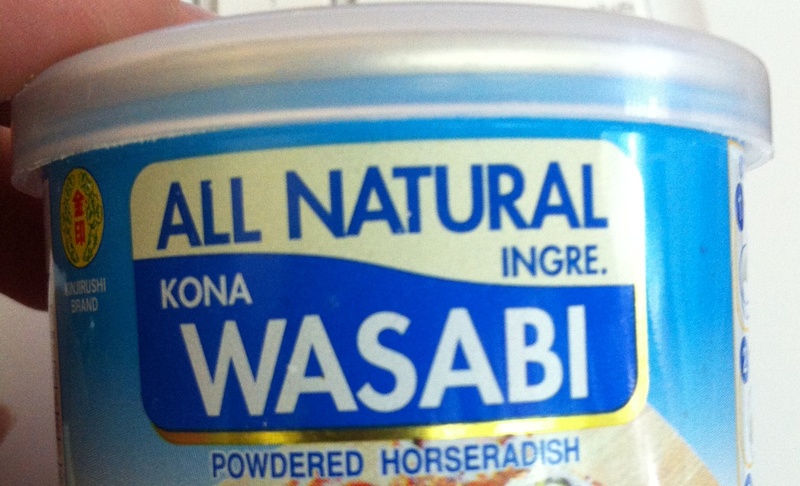 Speaking of wasabi bowls, did you know traditionally wasabi was not mixed with tamari because it dilutes the flavors? 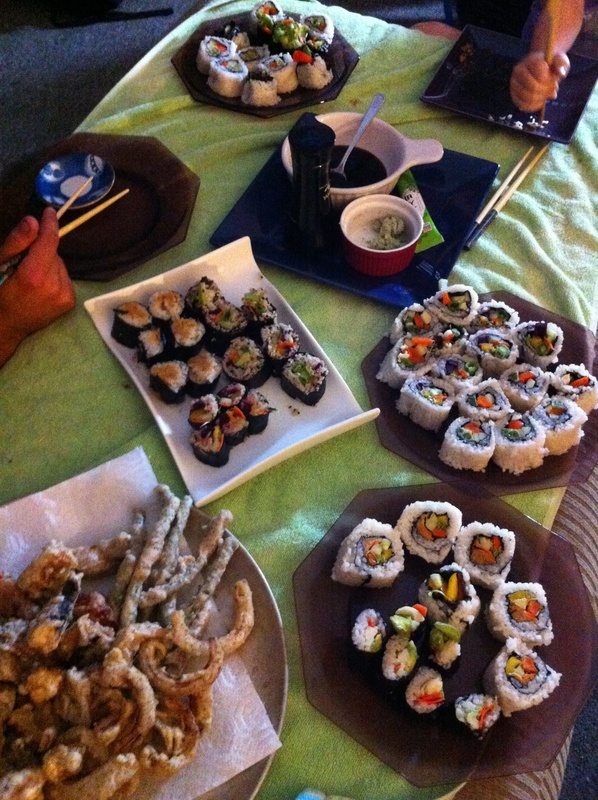 The wasabi should be placed on the sushi and then the sushi gets dipped in tamari. A little tidbit I learned in my studies. So, I am nowhere near good enough to try to explain the rice making or sushi rolling so I found two videos I wanted to share. I highly recommend watching videos first. 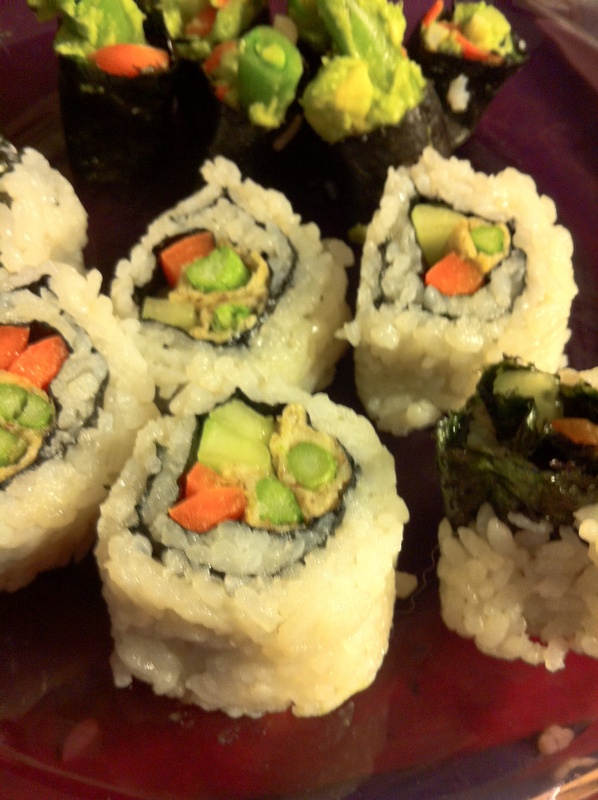 The sushi rice method in the link below was my favorite video. As far as rolling, I watched everyone I could find on You Tube, including the ones made with fish. I found a vegan one for you to watch but if you can handle watching them prepared with fish I suggest watching one with a Japanese sushi chef. They are just so graceful! *In one video I watched, the bamboo mat was covered with a plastic zip-loc bag. I will do this next time because my cellophane kept moving. It was frustrating. *Use a super sharp knife and wet for every slice. Do not skip. When I forgot to wet the blade it stuck and ruined the piece. *It’s okay to mess up. I ruined the first two rolls. 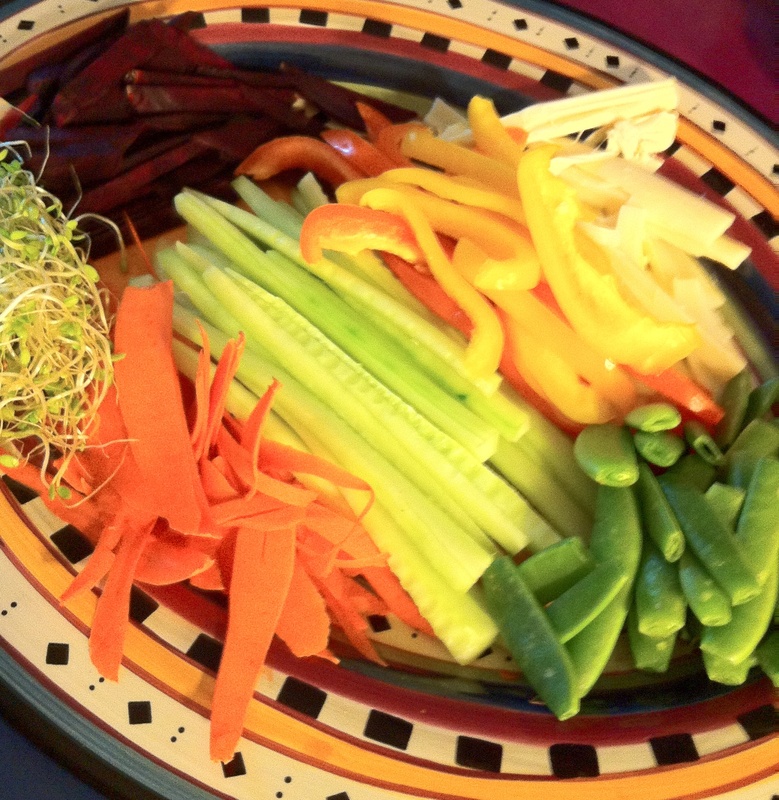 Luckily the little vegan liked it as a plate of slop! *Deciding on which nori(seaweed) sheets at our Asian market was a bit overwhelming, especially because the explanations were in Japanese. I need to do more research on which type is the best. *Wasabi powder or prepared? Careful, many of the prepared varieties had dairy in them. I found one that didn’t but it had a lot of other strange chemical ingredients and dyes. It smelt so weird we didn’t even try it. Many of the powders also had dyes and strange ingredients. The one I bought was natural and got the color from spirulina. It tasted good! *I did not get close up pics of the brown rice & quinoa rolls. My apologies. Put brown rice and water in a pot and bring to a boil, then cover and simmer for 30 minutes. Add quinoa to rice and cover, and simmer for another 15 minutes. While rice is cooking dissolve sugar and salt in the vinegar in a small sauce pan over low heat. Once rice is done pour into a glass or wooden bowl and add vinegar mixture, cutting rather than stirring with a spatula. I recommend watching the sushi rice video above on this technique. Put all ingredients in a food processor and turn on until paste, scrapping sides as needed. Ready to go for the inside of your rolls. Gallery | This entry was posted in appetizer, Gluten Free, Main Course. Bookmark the permalink.